The holidays delayed the show for a few days, but its worth the wait as is the big week where I finally announce the winners to the win a free next-gen game console contest. Also this week I have an extra long showmail section to keep you entertained during the slow holiday week. Enjoy the show! 00:05:19 Name That Game: I announce the winners to the big win a free next-gen console contest! Did you win? Listen and find out! 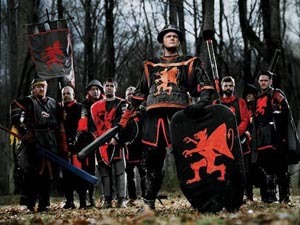 The Duke is back … always bet on Duke! Play PS1 games on your PSP via your PS3 … what? Activision takes a hard stance on locking out Rock Band controllers. Why is everyone surprised? Red + PSP = Double sales. New Mass Effect book, Ascension, to land next summer. 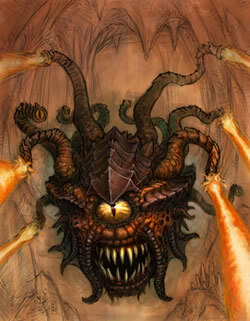 Chinese teen burns classmate, blames World of Warcraft. Amazon sell 17 Wiis per second, but yet nobody can find them! Steam and others having big sales! Now you have no excuse not to buy and play Psychonauts (only $9.95!). 00:38:04 Show Mail: The Xtra large holiday edition. 01:42:55 Final Thoughts: Lots of big changes to the Gaming Steve site in 2008 and I give you a sneak peak! Download the show (106 minutes): Gaming Steve Episode 67 (MP3). 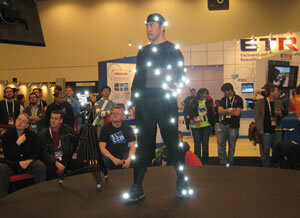 Plus find out the status of the Name That Game contest where you can win a free next-gen game console. Enjoy the show! Crysis and Unreal Tournament 3 both underperform. Blizzards confirms new MMORPG in the works and I give details. Auran shuts shop, nobody really surprised. Assassin’s Creed sells a gazillion copies … but who cares! There is a new Might and Magic game coming! Why November sales matter for the entire year. Nintendo is losing a billion dollars on the Wii’s short supply. Nintendo and GameStop to issue rainchecks (does anyone even know what a raincheck is anymore?). Soda companies blame video games for obese children. E3 returns to LA Convention Center, nobody cares except for gaming journalists. 00:55:18 Special Feature: What were the best, the hidden gems, and the most disappointing games of 2007? 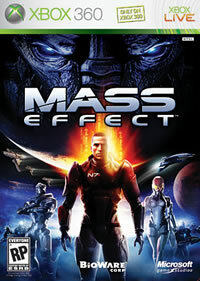 01:23:49 Review: Mass Effect for the Xbox 360. 01:38:23 Name That Game: Do I pick the winner for the next-gen console this week? Do I? 01:40:00 Show Mail: I answer your email questions (send me some more questions please). 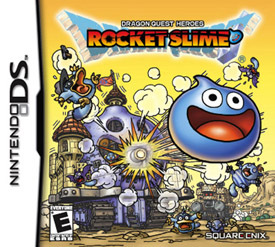 01:46:00 Final Thoughts: Why is nobody playing my 2007 Game of the Year pick? Download the show (111 minutes): Gaming Steve Episode 66 (MP3). Although this week’s news wasn’t as crazy as last week there was plenty of interesting items in the world of gaming. Plus find out the status of the Name That Game contest where you can win a free next-gen game console. And by amazing coincidence I had the opportunity to sit down with yet another representative from Wizards of the Coast (seriously, it was completely unplanned). This time I get to chat with legendary Magic: The Gathering player and VP of of Digital Gaming Randy Buehler. Randy and I discuss Wizards new digital initiative and how they plan to implement move all of their games to the online space, plus Randy critiques my Vintage (Type 1) Magic deck … awesome! Enjoy the show! Xbox 360 sales to rival the Wii, PS3 still plays catchup. Kane & Lynch site caught fibbing about review scores. Boy attacked by moose “feigns death,” and loses aggro thanks to WoW. GameStop promoted to the S&P 500. Nintendo pulls their Wii ads … must make more Wiis! Eve Online patch accidentally bricks XP, oops! Activison to replace Guitar Hero III Wii discs, will anyone even notice? Wii Fit debuts at #2 in Japan … and Assassin’s Creed debuts at #8? PaRappa creators to make new music game for the Wii. 00:30:43 Interview: Randy Buehler, Vice President of Digital Gaming from Wizards of the Coast. 01:04:37 RetroReview: Culdcept for the PlayStation 2. 01:09:02 Name That Game: Do I pick the winner for the next-gen console this week? 01:12:32 Show Mail: I answer your email and audio questions. 01:35:26 Final Thoughts: Updating the site! Download the show (99 minutes): Gaming Steve Episode 65 (MP3). Since I’ve been gone for a little while I decided to make this show a bit special. Not only do I have a great guest but I have my biggest contest yet where you can win a free next-gen game console! That’s right, a brand new console, as well as other great prizes, and all you have to do is listen to the show! And in celebration of National Dice Day I have a great interview with Christopher Perkins from Wizards of the Coast. Chris and I geek out and talk about Dungeon & Dragons new 4th Edition and it’s upcoming transition into the online world. Enjoy the show! Mario Galaxy is the fastest-selling Mario … ever! Deus Ex 3 slips out of the bag. Nintendo’s Virtual Console sells $33 million. Is that a lot? Nintendo moves a million systems in a week. Grand Theft Auto IV: box art now, trailer later, game much much later. Sony signs new ad agency, a lot of people lose their jobs. Activision and Blizzard join forces to take over the World of Gaming. 00:48:33 Interview: Christopher Perkins, Story Design Manager RPGs/Minis R&D from Wizards of the Coast. 01:50:19 Game Review: The Witcher for the PC. 01:58:19 Name That Game: My biggest contest yet where you can win a free next-gen console! 02:02:23 Show Mail: I answer your email and audio questions. 02:26:00 Final Thoughts: I talk about the future of the show. So what happens when two of the most anticipated games of the year — Command & Conquer 3 Tiberium Wars and The Elder Scrolls IV: Shivering Isles — come out on the same day? Well I guess I’ll just have to feature interviews with the developers of BOTH games on my show! Oh yeah, and don’t miss the cameos by Billy Dee Williams, Tricia Helfer and Joe Kucan (Kane himself!) throughout the show. Enjoy! February US games sales up and everyone wins! Take-Two takes the fight to Thompson. You Don’t Know Jack moves online for free! Microsoft probes possible Xbox Live fraud. PS3 finally hits the UK … and does really well. 00:26:30 Interview: Amer Ajami, Producer for Command & Conquer 3 Tiberium Wars from EA. 00:42:52 Interview: Bruce Nesmith, Design Director for The Elder Scrolls IV: Shivering Isles from Besthesda Softworks. 01:22:17 Game Preview: The Elder Scrolls IV: Shivering Isles for the PC and Xbox 360. 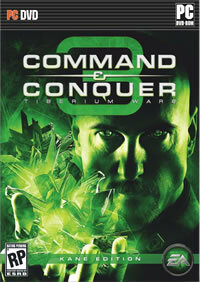 01:26:03 Review: Command & Conquer 3 Tiberium Wars for the PC. 01:37:21 Show Mail: I answer your email questions (send me some new audio questions!). 01:50:56 Final Thoughts: Oh yeah, I forgot to do Name That Game this week, sorry about that! Download the show (115 minutes): Gaming Steve Episode 63 (MP3). Chris and I discuss his group panel at GDC, Ten Games You Need to Play: The Digital Game Canon. How are past video games being preserved for the ages? We discuss several upcoming games shown on the show floor. I reveal new Spore information and we discuss the importance of Spore for the gaming industry. Why we’re skipping the E for All Expo. I interview with Chris Satchell about the four games in four days competition. Wrap up the show and the conference. Download the show (63 minutes): Gaming Steve Episode 62 (MP3). Can you believe it … another brand new podcast? Are dogs and cats living together? Well they must be because I’m back with day 2 coverage from GDC 2007. Today I recap the day’s events all by my lonesome because everyone else had to go party the night away. So you get to hear little old me speak about Shigeru Miyamotov, Chris Taylor, Peter Molyneux, the annual video game design challenge, Eiji Anouma and lots more on a jampacked show. Enjoy! Shigeru Miyamoto is really really really popular. Why were so many people disappointed with the Nintendo keynote … except me? Recap of Chris Taylor and his Supreme Commander talk. Can Peter Molyneux make you care about Fable 2? Give three famous game designers a needle and thread as their interface and what type of games do they come up with? Eiji Aonuma reflects on ten years of creating Zelda games and what challenges he faced, and still facing, keeping the franchise alive and fresh. Download the show (59 minutes): Gaming Steve Episode 61 (MP3). I’m Not Dead Yet! 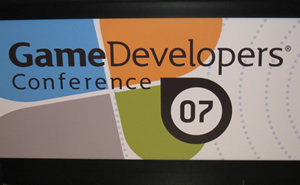 Yes everyone, I am back and I figured that since I started doing the show at GDC 2005 it was appropriate to resume with the start of GDC 2007. Today I recap the day’s events and the pivotal Sony keynote and just like last year I am sharing the mic with a fellow blogger/podcaster Gamer Andy from Gamer Andy. Enjoy everyone! Andy and I talk about the excellent Sony keynote and the new Home system. Will a great keynote be enough to turn the press to Sony’s favor? We discuss the incredible-looking LittleBigWorld game as well as SingStar Online. Why are publishers looking for a strong leader and why do they hate the Wii so much? And where does this all leave Microsoft and the Xbox 360? Download the show (52 minutes): Gaming Steve Episode 60 (MP3). So why was E3 really scaled back, and what the heck is XNA? All of this and more on this week’s show! Oh yeah, and more information on how to write for the site. Goodbye Computer Gaming World, hello Microsoft. 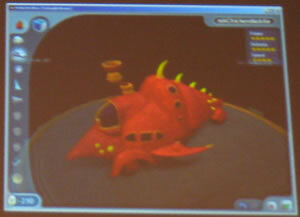 Big surprise, Spore is heading to consoles. Downloadable content is making a mint. The analysts’ were wrong (again), game sales are better than ever. Ho hum, Blizzard bans a mere 59,000 WoW accounts. Card-arcade hybrid heading to the DS. Japanese buy 10 million DSes. RIP E3 … we will miss you. 00:42:15 Interview: Chris Satchell, General Manager of Game Development for Microsoft chats about XNA. 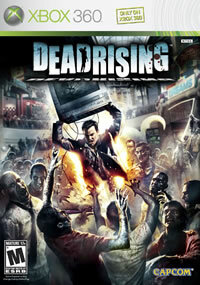 00:55:59 Review: Dead Rising for the Xbox 360. 01:04:57 “Name That Game!” contest winner from last week, a new clip, and the always cool prize! 01:07:32 Show Mail: I answer your audio questions. 01:31:12 Final Thoughts: Make sure to check out the new Caesar IV demo. Download the show (95 minutes): Gaming Steve Episode 58 (MP3).